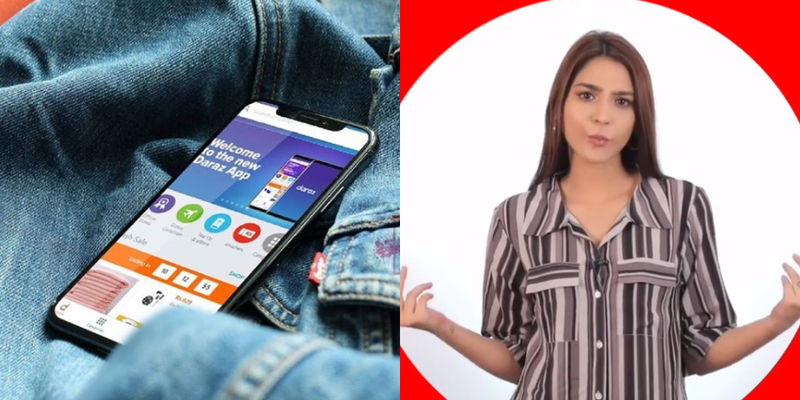 The Upgraded Daraz App Is Exactly What You Were Waiting For And Here's Why! The Upgraded Daraz App Is Exactly What You Were Waiting For And Here’s Why! How many times have you spent all your money when you weren’t supposed to and went broke? How many times have you resisted yourself from buying things that didn’t belong in your shopping bag or closet yet you still ended up buying them? Well, recently, many Pakistanis were seen on a shopping spree, that too on a mobile app. You might by now, know what we’re talking about but for those who don’t, I’m talking about the upgraded Daraz app! Yes! Much better and with more features. And well, let’s admit it; much more addictive! Yikes! Talk about a product being genuine, you don’t have to worry about that anymore. Because this feature guarantees that the products are 100% authentic and duly registered if so required. YASSSS!! Not only that but customers can now stay up to date on their favorite stores, offers and what not! Say NO to all the jaali stuff! Now, if a customer is viewing a specific product, the app will show related items down below. The Daraz app analyzes and reads the customer’s needs and wants. So, each customer will have access to hundreds of unique collections based on their interests. WOWZA! Isn’t that what we all want? So, the more you browse, the more the app is going to know your likes and interests. Love shopping from sales and saving money? Customers can now get new discount vouchers from brands and sellers EVERY DAY. Not only that, but customers can either use those vouchers right away or save them for later. 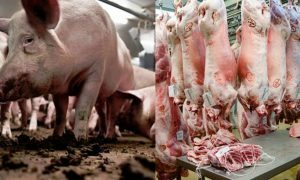 Love to find the easy and speedy way out every single time? The one thing that concerns most of us is the checkout process. Daraz App has made the checkout process faster and safer. Customers need to enter their payment details once only and enjoy fast check-out with their payment details auto-filled on their next purchase. Love Top-ups and packages for your mobile network? Top-up is now a tap away! Customers can Top-up their Prepaid Mobile in seconds online via the Daraz App – whenever and wherever. Customers will be offered special discounted packages for all relevant mobile networks in Pakistan! You want it? They have it! And guess what? E-Store is a new category on the Daraz app. Customers now have access to digital vouchers, games, and event-tickets all in one place. The vouchers get delivered instantly via email and most of them come with a big discount. And if customers are looking to surprise their loved ones, they can give them a gift card by Daraz. If you’re still waiting for pay-day and loved something on the app you wish to order, add it to your wish-list! Customers can now add their favorite products to their wish-list and check when the prices drop. It’s literally every customer’s dream to find a product on sale! Don’t forget to go back and check if the prices have dropped. Call this is a one-stop solution maybe?! How amazing, isn’t it? Have you tried shopped from Daraz app? Let us know your feedback! 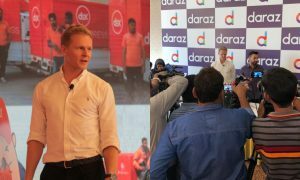 Daraz Is Changing Its Game In The Marketplace And This Is Exactly What Every Customer Was Looking Forward To! 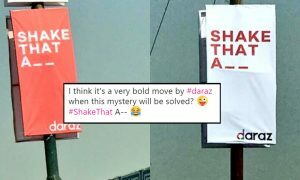 These Streamers On Roads Are Asking Pakistanis To Shake That A– And We’re Totally Confused Ke Hilana Kya Hai Bhai? 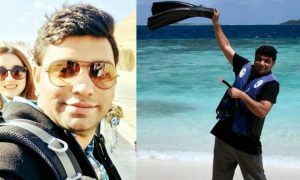 Meet Salman Altaf – A 25-Year-Old Entrepreneur And Millionaire Who Is Changing The E-Commerce Game In Pakistan! McDonald’s Pakistan and Pakistan International Airlines Take Happiness To New Heights! Team Parhlo Witnessed “Paranormal Activity” In Their Office And Everyone Legit Freaked Out!